This post contains affiliate links which means if you make a purchase, we’ll receive a small commission. By doing this, you’ll help us keep the content free and you won’t pay anything extra. Thank you in advance for your support. Ever since I was a kid, I’ve loved shopping for new school supplies. The scent of a new pack of pencils or crayons created excitement and hope for the future. 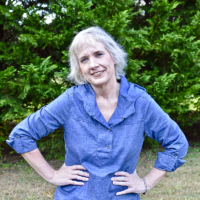 Would I have nice teachers? Would I finally get to learn about faraway lands and the people who lived there? Would the school cafeteria finally start serving decent food? 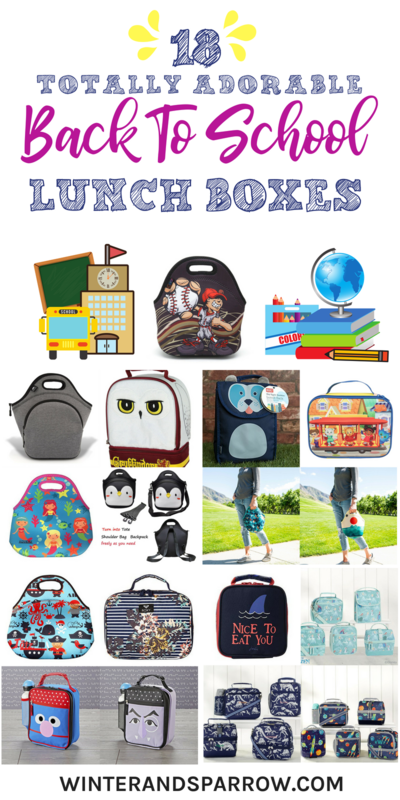 I seldom brought a packed lunch to school but I always envied the kids who sported cute, cool, or popular lunch boxes. I imagined each bag was filled with delicious items that my parents didn’t buy or wouldn’t let me eat (cause food envy is real y’all). When my daughter started school, I always gave her the option of taking a packed lunch or buying lunch. A new lunch box was a staple on our school supply list because I wanted her to have a lunch box that she was excited to carry. Of course getting her to eat all of the nutritional items in said lunch box was a whole other ordeal. The struggle was real with half-eaten apples ? 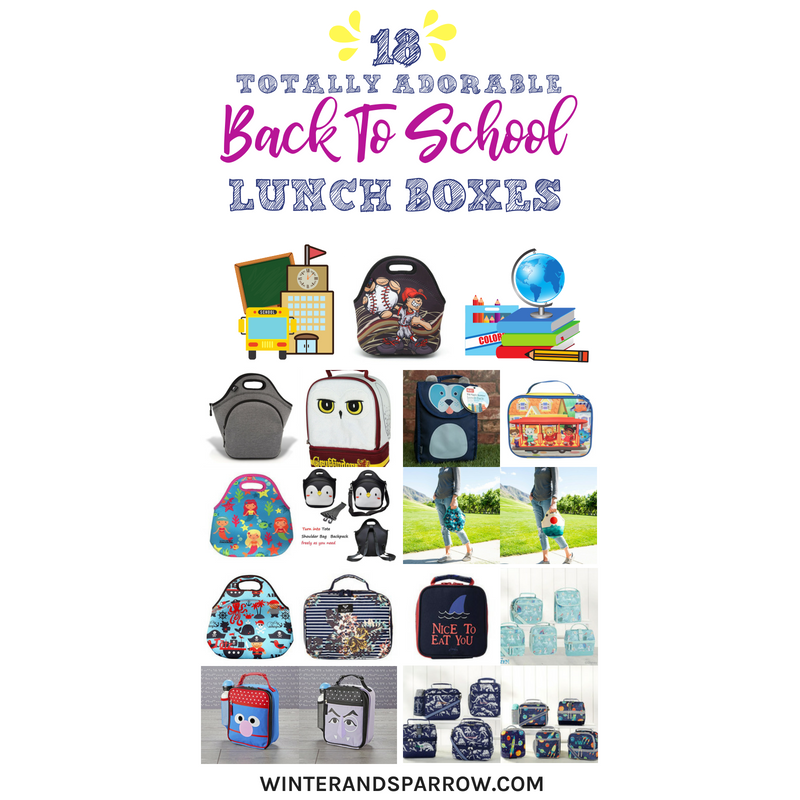 Aren’t the lunch boxes adorable?! Which one would your kiddo like? 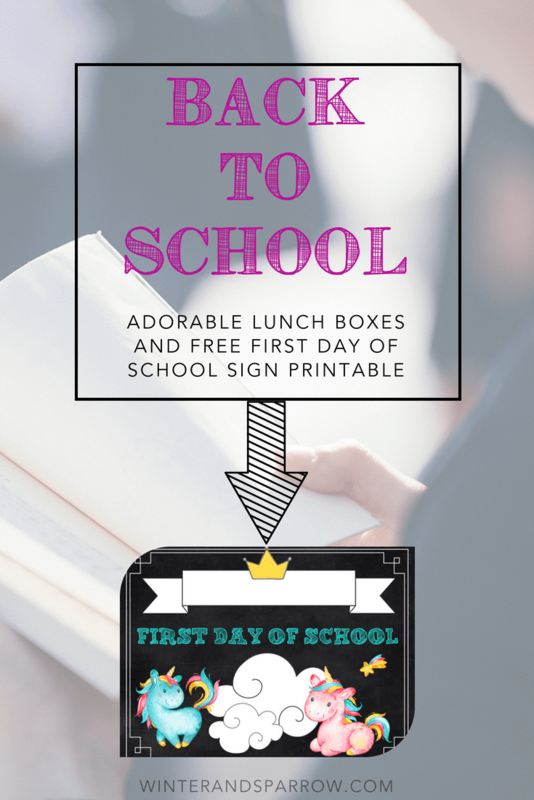 Because the first day of school is something to be celebrated, I’ve made a free first day of school sign printable for you to download. It has unicorns! After you download the freebie (linked at the bottom of this post), you can use your favorite software program to add your child’s info. 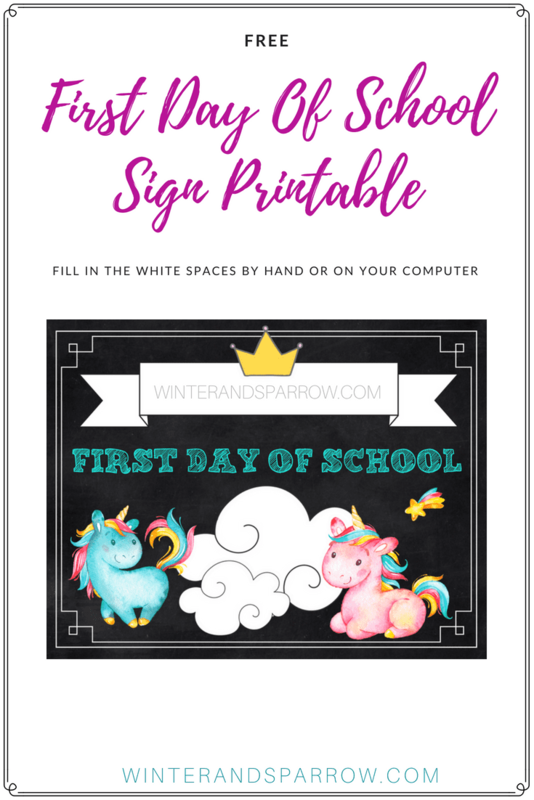 Or you can print and write in your child’s info. 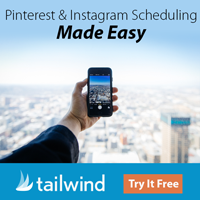 You can also take advantage of a free trial at PicMonkey or sign up for a free account at Canva.com, upload the download, and edit online. Make sure you print on high-quality cardstock for the best results. 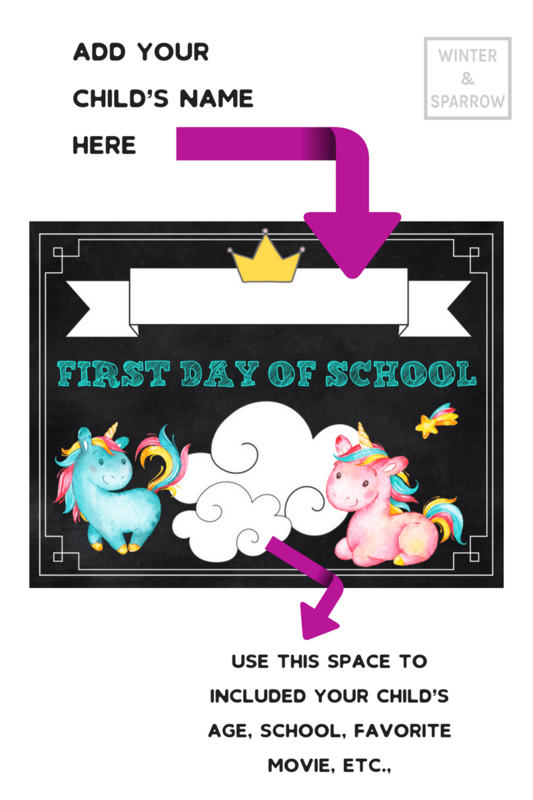 We can also personalize your first day of school sign here. 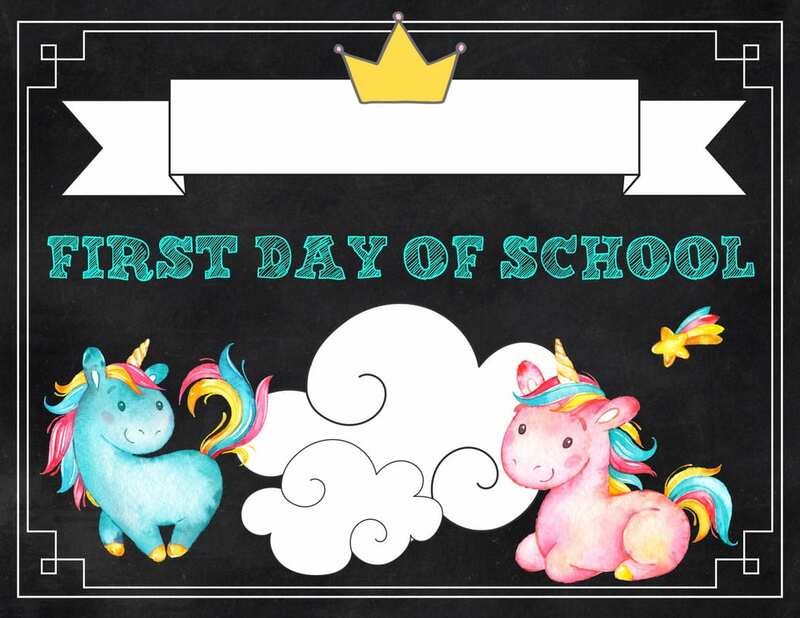 We’d love to see your first day of school photos! Tag us on Twitter or Instagram @kimcdickerson or post on the Winter and Sparrow Facebook page.